3 May 2019. 7:00 pm. 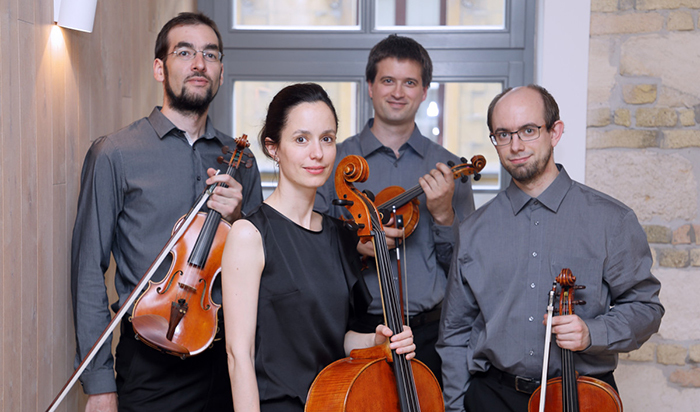 Rondo Quartet presents a series of 3 concerts in the BMC's Library this year. In each of the three concerts, compositions by the first string quartet-composer Joseph Haydn's last full series will be presented. Also on the program the Erdődy-Quartets and two exciting sidebreaks of the genre's history: Janaček's string quartets - complemented by a piano-cycle transcript - which are all special in both form and instrumentation, as well as some examples of how American composers (Ives, Copland, Cage) reached out to the traditionally European chamber music.